With the festive season on roll, one of the manifestations is our need to shop relentlessly. Shopping during festivities gives us immense pleasure and help us spread the mirth. 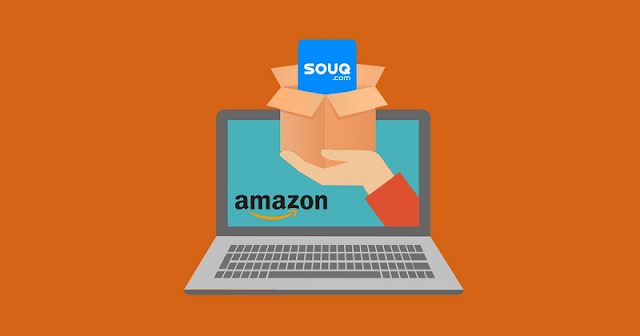 And, to save your time and energy, Souq equips you with almost all the products ranging from home essentials to clothing, accessories and much more. To top it all, the website is offering amazing deals and discounts this Ramadan along with which one can avail various Souq offers. One such include free shipping on all domestic products the details of which have been mentioned below. What exactly is the Free Shipping Program? Any order in the domestic segment worth 100 AED or more across all items on the entire products category and all international segments worth 200 AED or more on all the Amazon Global Store qualify for free shipping, but for a limited time only. The customer will receive free shipping on all domestic orders if the merchandise is worth 100 AED and on all international orders if the merchandise is worth at least 200 AED of all Amazon Global stores. Along with the fact that any item which is labelled with ‘free shipping’ on the search and the product detail page is eligible and contributes to the customer’s free shipping minimum order. It must be noted by customers that one can enjoy free shipping if their domestic and international order reaches their corresponding order value of 100 AED and 200 AED respectively and there isn’t any need to pay a subscription fee. In case one of the items in your cart is less than the eligibility threshold, you can get the remaining amount by adding more eligible items into their shopping cart. Are there any benefits from free shipping internationally? Yes, the only criterion is to reach the 200 AED threshold on items across any products available in the Amazon Global store. Please be aware that free shipping charges do not include import fees, other taxes, payables to the government and customs duties. These payments fall under the jurisdiction of the country’s policies and the customer’s ability to pay them along with it being their responsibility. The item will not be dispatched or else. Is it possible to reach the threshold by combining both international and domestic items in the same order? No, you need to purchase the designated 100 AED worth of merchandise in your domestic order while reaching the designated 200 AED worth of merchandise on your international order as well, in case you want to take advantage of the free shipping facility. What types of products are included in the free shipping program? Almost all the products across all sections in the Amazon Global store are included in this program. Some products may not be included and will be considered ineligible to be shipped out. This discretion solely lies with Amazon Global Stores, regardless of whether they are included in the domestic and international order without any pre-notice. 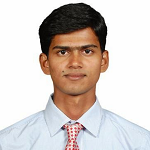 What is the duration of the Free Shipping Program? Free shipping on domestic products will last until the end of this year. While free shipping on international orders is a promotional offer and will last till the end of Ramadan season 2018. What are the terms and conditions of the Free Shipping Program? Amazon Global stores reserve the right to suspend or terminate the free shipping program on both domestic and international orders without any pre-notice at our own discretion. Is there any limitation on the Free Shipping Program? Customers can use the free shipping program in moderation without abusing the offer. In any event, if we notice that any customer is abusing the free shipping program, we reserve the right to cancel to order put across at our discretion along with the added addendum of limiting the free shipping program usage for the specific customer. We reserve the right to put a constraint on orders eligible for free shipping programs on both international and domestic orders at any point at our discretion and without any notice. So, now that all of your queries have been answered. What are you waiting for? Log on to Souq.com and begin shopping for Ramadan 2018 with vigour and fanfare. Happy Shopping!